The State Administration of Industry and Commerce has issued final Rules on Stopping the Abuse of Intellectual Property to Eliminate or Restrict Competitive Conduct on April 7 (Order No. 74) (关于禁止滥用知识产权排除、限制竞争行为的规)with an effective date of August 1, 2015. 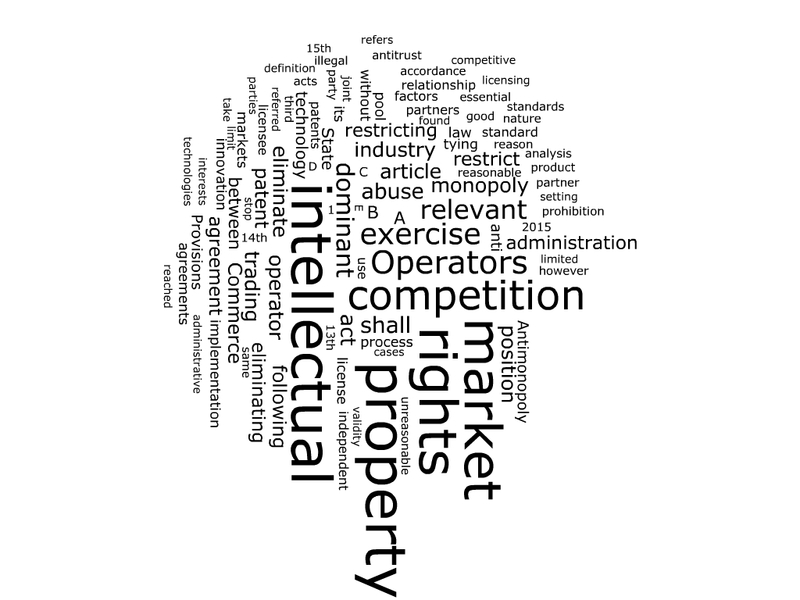 Above is a wordcloud drawn from a machine translating (Bing) of the new SAIC IP abuse rules. This entry was posted in China IPR and tagged AMEA, AML, Competition Law, IP Abuse Rules, NDRC, Qualcomm, SAIC.